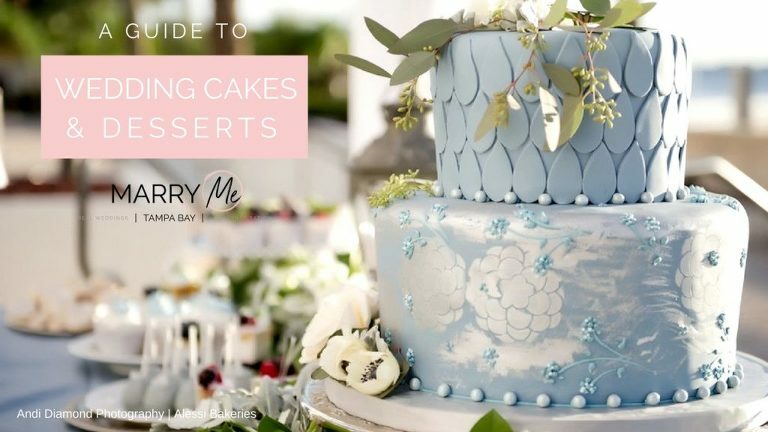 If you have a sweet tooth like we do, one of the best parts of planning your Tampa Bay wedding is choosing the desserts and cake. Wedding cakes are some of our top liked posts on Instagram and Pinterest, because not only are they truly pieces of art, but knowing you get to eat them after make them that much indulgent! 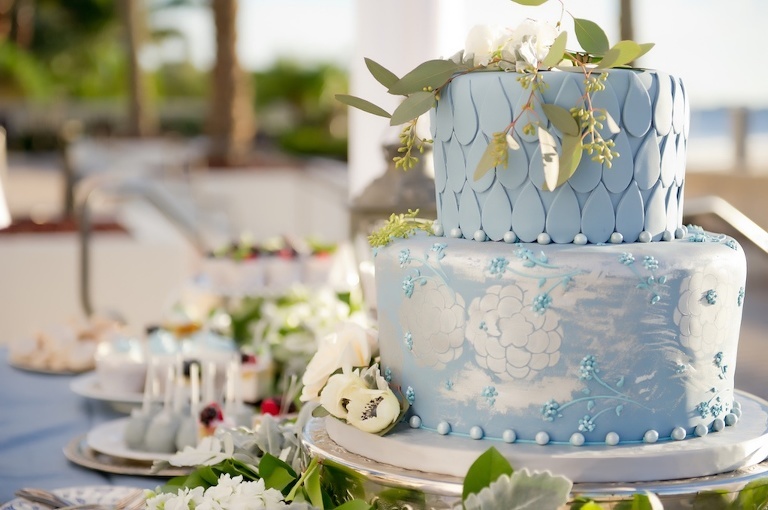 To take the mystery out of budgeting and choosing your wedding cake and desserts, we’ve asked the area’s top pastry artists to provide their expertise. All pricing is relevant to the Tampa Bay/Sarasota wedding market. 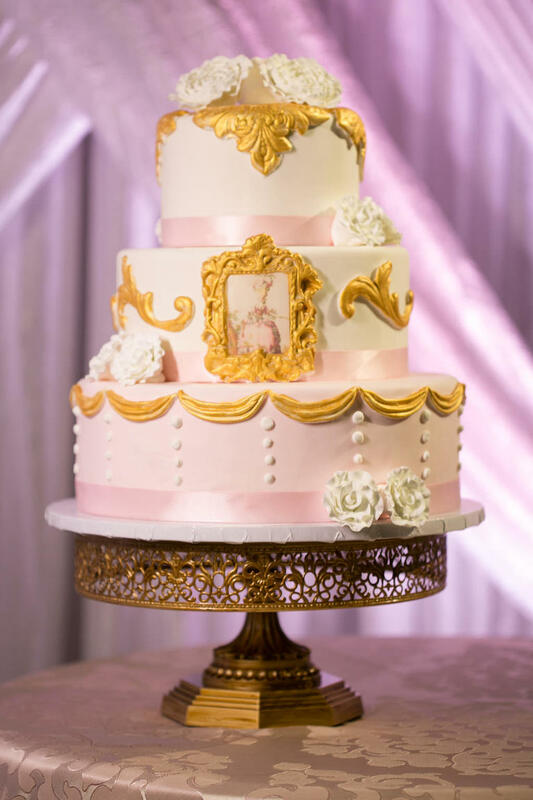 What is the average cost of hiring a professional wedding cake baker? Why does the price of wedding cake/desserts vary? 1. Level of detail in the design. More detailed designs take longer to execute, resulting in a higher cost. 2. Flavor choices. Opting for exotic flavors that require pricier ingredients, versus more traditional flavors. 3. Skill set of the baker. A seasoned baker may have more experiences with certain techniques and may charge more. Whereas, a newer baker is sometimes still perfecting their techniques and may charge a bit less. What is the difference in hiring a grocery store versus wedding bakery? “First and foremost, it’s going to be the quality of service. For our bakery, we only hire professionally trained staff who have a passion for what we do. We also have an office manager and an owner who love to work with people, therefore we treat our clients like family. We get involved in the planning and treat weddings as a celebration, which it is! Grocery stores have so much else going on, it’s easy to seem like just a number to them, most of the time. Another important difference is the ingredients and creativity that go into creating our cakes. At a grocery store, you are limited on the flavors and on the decor. We are a custom bakery, so we have a wide variety of flavors, fillings, and the decor is literally endless. We also use only natural ingredients, and everything is baked in house, from scratch. Grocery stores typically order their cakes in frozen from their warehouse bakery, and the frosting and fillings arrive in buckets that never have to be refrigerated, often making them unnatural, hydrogenated and artificial, which helps the cost, but sacrifices the taste and mouthfeel. Overall, it’s a completely different experience. Can I just order a “fake cake” and serve sheet cake to guests? Brandi shares insight on this popular money-saving misconception. I don’t like cake, what are some dessert alternatives? What are some options for edible favors? Include budget, style, flavors, food allergies.